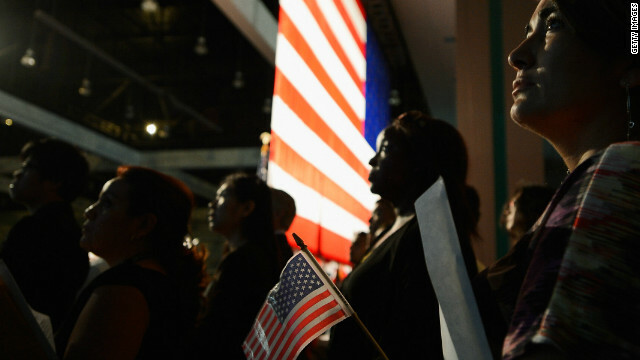 What does race have to do with achieving the American Dream? Turns out the American Dream may not be for everyone. A new report by the Pew Charitable Trusts shows that a family's race, economic background and neighborhood play a role in economic mobility. The study finds that while 84% of Americans have higher incomes than their parents did at the same age, those born at the top and bottom of the income ladder are likely to stay there. When it comes to race, African-Americans are less likely to top their parents' income and wealth than whites are. And blacks are more likely to be stuck at the bottom of the ladder or fall out of the middle. This study couldn't even measure black mobility in the upper income levels because the number was too small. Recent Census Bureau data shows that white Americans have 22 times more wealth than blacks. Twenty-two times. In 2010 the median household net worth for whites was about $111,000 compared to less than $5,000 for blacks. Whites also have 15 times more wealth than hispanics. This wealth inequality is due to many factors including the implosion of the real estate market along with higher unemployment rates among minority groups. Statistics like these are one of the many reasons why President Obama is such an historical figure. He is america's first ever African-American president - with a background that certainly wasn't privileged. But Mr. Obama is the exception, not the rule. And the rule is, if you're born poor, you're probably going to stay that way. Here’s my question to you: What does race have to do with achieving the American Dream? 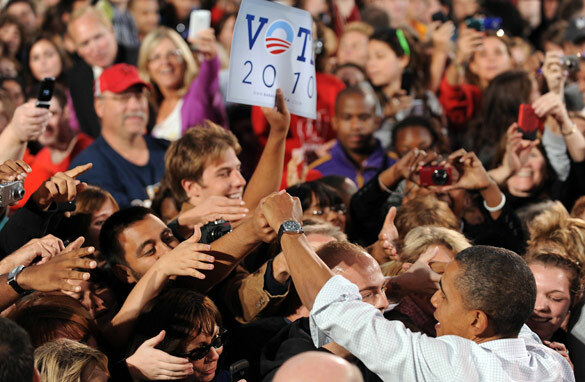 How much of an issue will race be in the 2012 presidential election? The issue of race is already rearing its ugly head with nine months still to go before the general election. No one knows what impact the race card will have on President Obama's re-election prospects - but it's out there. 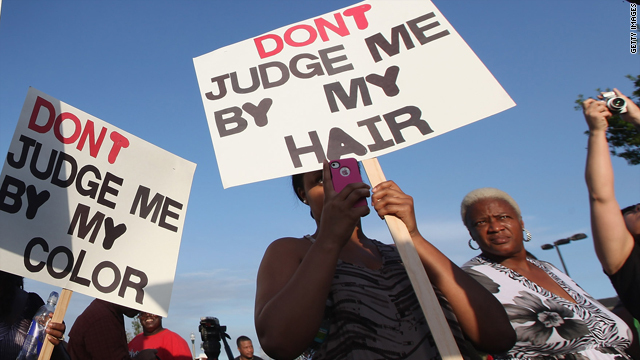 Does Newt Gingrich not have a clue when it comes to African Americans? Newt Gingrich is clueless when in comes to African-Americans. So writes Peter Beinart in a pretty tough Daily Beast column using Gingrich's own words from last night's Republican debate as proof. Before we start here, keep in mind this debate was held in South Carolina on Martin Luther King Jr. Day. Juan Williams, who was one of the moderators and is black, asked Gingrich whether some poor and minority voters might be insulted by his comments, as when Gingrich said poor kids lack a work ethic and black people should be instructed to demand jobs, not food stamps. Gingrich, a native Georgian, pretty much dismissed the question as the crowd applauded. So Williams tried again, asking if Gingrich's words aren't belittling to the poor and blacks. Williams: You saw some of this reaction during your visit to a black church in South Carolina, where a woman asked you why you refer to President Obama as "the food stamp president." It sounds as if you are seeking to belittle people. Gingrich finished this exchange with a standing ovation from the mostly white crowd. Beinart writes what is fascinating here is that Gingrich is not a racist and he believes the former house speaker genuinely cares about black poor people. Beinart suggests Gingrich's problem is ignorance. Suggesting blacks and their leaders don't consider jobs important shows how out of touch Gingrich is with African-American politics and the priority black leaders have put on jobs. What's more - and this is probably the worst part - Gingrich doesn't get why calling Obama the "food stamp" president is highly offensive to blacks, given the history of blacks in this country. 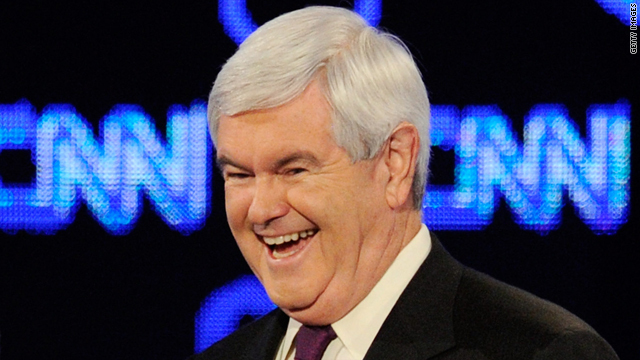 Beinart writes: "The most plausible explanation is that Gingrich inhabits a cultural and intellectual bubble. A bubble called the Republican Party." That’s tough stuff - and not so encouraging for the Republican Party when it comes to getting black voters. Here’s my question to you: Does Newt Gingrich not have a clue when it comes to African Americans? 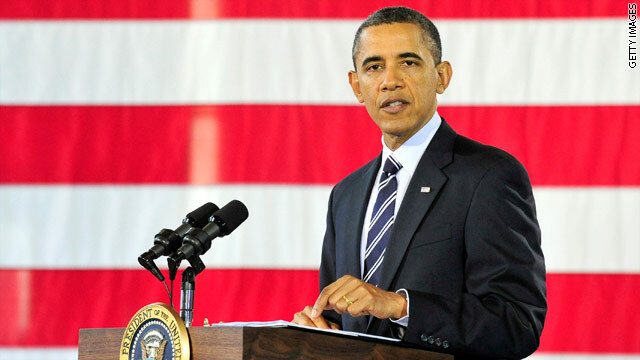 Has President Obama made racism worse? President Obama has made racism worse in America. So says the African-American actor Morgan Freeman. He told CNN's Piers Morgan that the tea party's opposition to Mr. Obama, the nation's first black president, is rooted in racism. 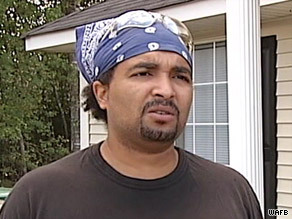 Freeman claims tea partiers will do whatever it takes to "get this black man out of here." He adds that the tea party shows the "weak, dark underside of America," and that "we're supposed to be better than that." The only black Republican candidate for president pushed right back. Businessman and tea party member Herman Cain says most of the people who criticize the movement have never been to a tea party rally. Cain says "name calling" will continue because opponents don't know how to stop the tea party movement. Meanwhile - with black leaders grumbling that Mr. Obama hasn't done enough about staggering black unemployment - the president has evoked language that sounds a whole lot like the civil rights era. He told the Congressional Black Caucus to march with him: "Take off your bedroom slippers, put on your marching shoes." Americans are split on how Mr. Obama's presidency has changed race relations in the U.S.
A recent USA Today/Gallup poll shows 35% of those surveyed said race relations have improved, while 23% say they've gotten worse under President Obama. 41% percent see no change. Back in 2008, when the nation voted for "hope and change," Americans had a much rosier view of what this president would do for race relations. Gallup found that the day after Mr. Obama was elected, a whopping 70% predicted race relations would improve. Here’s my question to you: Has President Obama made racism worse? Why are many whites turning against Pres. Obama & Democrats? President Obama continues to have problems when it comes to race. White independent voters helped make Barack Obama the first African-American president in history, but now a lot of them apparently don't like him so much anymore. A CNN poll taken shortly after President Obama was inaugurated in April 2009 showed a 61 percent approval rating among whites. That same poll now shows the president with a 34 percent rating among whites. 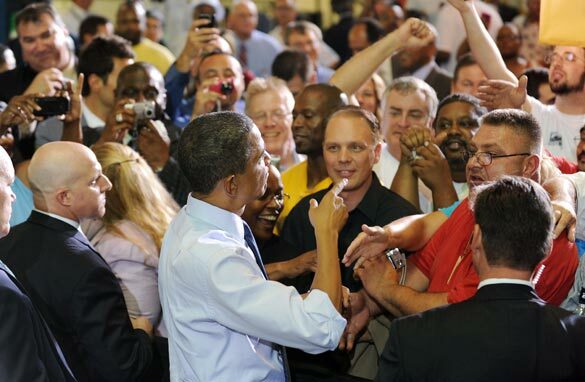 Meanwhile, more than 90 percent of blacks approve of the job the president is doing. And there are more signs of trouble when it comes to support from white voters - not just for the president but for the Democrats in general. Another new poll shows working-class whites are flocking to the Republican Party, which will make it even tougher for the Democrats to keep control of Congress. The Associated Press-GFK poll shows whites without college degrees prefer Republican candidates by 22 percentage points. That's double the margin of the past two elections. Compare that with white people with college degrees, who are split evenly between the two parties; and minorities, who heavily back the Democrats. Working-class whites are a key voting bloc - they make up about four in 10 voters nationally, and the Democrats can't afford to lose more of them. A lot of these voters were never too fond of Barack Obama to begin with. Remember Obama's comments about bitter small-town voters who cling to their guns and religion? The silver lining for Democrats here is almost 30 percent of working-class whites in this poll say they may still switch candidates. If they don't, the Democrats could see a tsunami. Here’s my question to you: Why have so many whites turned against President Obama and the Democrats? Why 56-point difference between blacks & whites on Pres. Obama approval? President Obama has been in office just over a year and a half, and he is getting drastically different marks from whites and blacks. A CNN-Opinion Research Corporation poll shows there is a 56-point difference between blacks and whites when it comes to the president's approval rating. A whopping 93% of blacks approve of how Pres. Obama is handling his job, but only 37% of whites do. Pres. Obama is the nation's first black president, and was supposed to move the country past racial divisions… a tall order to be sure. But, yet the president did receive lots of support from whites as a candidate. Part of the problem may be that critics are painting this Obama White House as out-of-touch with the American people. Nile Gardener of the London Telegraph points to examples like the First Lady's lavish European vacation, the president's move towards big government and dramatic increases in government borrowing and spending. Gardener points to extravagance and arrogance among "the White house elites that rule America as though they had been handed some divine right to govern with impunity". Last Friday, the president chose to fly six miles in Marine One to a sign factory in the Washington, D.C. area rather than drive. Six miles. The helicopter ride took about eight minutes…driving would have taken about 20. Here’s my question to you: Why is there a 56-point difference between blacks and whites when it comes to Pres. Obama's approval rating? A white Louisiana justice of the peace has refused to issue a marriage license to an interracial couple. It's 2009 - the United States has its first ever African-American president; and Louisiana has some knuckle-dragging moron Justice of the Peace who takes it upon himself to decide who can get married. "I just don't believe in mixing the races that way. I have piles and piles of black friends. They come to my home, I marry them, they use my bathroom. I treat them just like everyone else." In addition to being a justice of the peace, Bardwell is also a social scientist. He says the reason he refused this couple a marriage license was out of concern for any children they might have... saying neither black nor white society accepts biracial children, and they would suffer. Bardwell says he's turned down about four couples during his career - and he still has a job? And Louisiana allows this kind of crap to go on? The bride, who is white, insists this is all about discrimination and racism - and wants Bardwell to resign. She's right and he should be fired. Civil rights groups are calling for him to go too. The ACLU says the Supreme Court ruled in 1967 that the government cannot tell people who they can marry... they want the state judiciary committee to investigate. I wonder if they will. Here’s my question to you: What does it mean when an interracial couple is denied a marriage license in Louisiana in 2009? Does racism have anything to do with opposition to Pres. Obama? Former President Jimmy Carter says racism plays a major role in the recent opposition to President Obama. Carter says part of this "intensely demonstrated animosity" is based on the fact that the president is black. 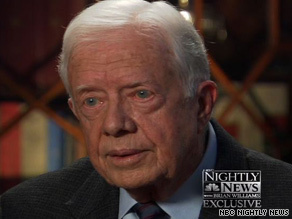 Former President Carter tells "NBC Nightly News" that racism has surfaced in opposition to President Obama. Carter says that racism is bubbling up among many white people all around the country because they think African-Americans aren't qualified to lead. he calls it "an abominable circumstance." The former president also says racism was at play in the recent outburst by Republican Congressman Joe Wilson of South Carolina, who called President Obama a liar. Some say a white president would never be treated this way. But critics say all this is nonsense. The head of the Republican National Committee, Michael Steele says President Carter is "flat-out wrong." Steele, who is black, says the opposition isn't about race, but rather about policy. He calls these charges of racism a distraction by Democrats to shift the debate away from health care reform. Then there's Rush Limbaugh - he talks about how race rules all in what he calls "Obama's America." The right wing radio host suggests that race is at play in nearly every aspect of society today... including the story of the white kid who got beat up on an Illinois bus by black students. Limbaugh also says racism is behind the media's treatment of Kanye West after his stunt at the video music awards, which Limbaugh considered relatively mild behavior. Here’s my question to you: Does racism have anything to do with the opposition to President Obama? 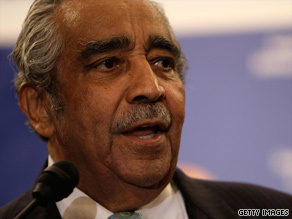 Congressman Charlie Rangel played the race card in the health care debate. Rangel says racial bias and prejudice against President Obama because he's an African-American are behind the opposition to health care reform. Rangel stated: "Some Americans have not gotten over the fact that Obama is president of the United States. They go to sleep wondering, 'how did this happen?'" It's a cheap shot and probably just about the last thing that President Obama needs in the already-heated debate. And it's even more of a cheap shot coming from Rangel, considering the fact that the chairman of the powerful House Ways and Means Committee, is under investigation for several ethics violations. Mr. Rangel was forced to file amended financial reports to the House Ethics Committee after it was discovered he apparently "forgot" to report millions of dollars in assets and income. Just another hack politician who when the going gets tough resorts to race politics. The Washington Post is calling on Rangel to resign as chairman of that committee. But I'm sure he's not going anywhere - any more than Governor Mark Sanford of South Carolina or Larry Craig of Idaho or any of a number of so-called public servants who use their elected office as a way of avoiding the rules the rest of us live by. For his part, Rangel says it's not fair for him to comment until the ethics committee wraps up its investigation. In the meantime, he should just go away. Here’s my question to you: Is Congressman Charlie Rangel, up to his ears in ethics investigations, out of line in saying race is at the center of the health care debate?